Horror Comic Award Honorees - Horror News Network - The Horror News You Need! Each year Horror News Network selects an individual(s) that we feel has been instrumental in helping the horror-comic industry grow, and has had a profound effect on the world of horror comics. We encourage you to explore the stories of all of our Horror Comic Award Honorees. Have a look at our past honorees below. And speaking of “green”, Wein was also responsible for the creation of one of the greatest horror characters in the history of comics: The Swamp Thing. Wein and artist Bernie Wrightson captured the attention of all horror comic fans in House of Secrets #92 (1971) which introduced Dr. Alec Holland and his more famous mossy alter-ego to the world. Due to the “muck monster’s” immediate popularity with fans, Swamp Thing soon earned his own series, running for a total of 24 issues (with Wein scripting the first 13 issues). Wein would also work with Moore in redefining the Comics medium with The Watchmen and would continue to write and edit comic books until his untimely death this fall. Over the course of his career, Wein impacted the industry like few others. He will certainly be missed by fans and fellow creators alike. Unfortunately, many artists only gain the recognition they deserve after an untimely death. Gary Reed (5/2/56 –10/2/16) certainly falls into this category. Reed is most prominently remembered by fans as one of the writers of Deadworld, but his greater influence comes from his role as a publisher. Caliber Comics emerged after the black and white publishing implosion of the 1980’s in 1989 and was the home of some of the most significant horror comics of the following decade including The Crow, Brian Lumley’s Necroscope, Mr. Monster, and the anthologies Caliber Presents and Negative Burn. Reed also gave many creators their start in the comic industry including Brian Michael Bendis, David Mack, Tim Vigil, Guy Davis, Michael Lark, Patrick Zircher, Jim Calafiore, Ed Brubaker, Michael Gaydos, James O’Barr, and Mike Carey. Reed also helped launch McFarlane Toys in 1993 as vice-president of the company which brought highly detailed action figures based on Spawn and other licensed properties to fans all over the world. Reed will be missed for his contributions to the genre and the comic industry as a whole. No artist had a greater impact on the horror comic revival of the 1970’s than Mike Ploog. When Marvel Comics made the wise, yet risky decision to return to horror comics after nearly twenty years, Ploog was at the forefront of the classic monster revival. Ploog’s work on The Monster of Frankenstein, Man-Thing, and Werewolf by Night cemented him as the go-to monster artist of the decade and helped make the revival an initial success in the 70’s and a well-loved era by comic fans of today. Not only did Ploog have a hand in shaping the look of many classic Universal Monsters in his unique Marvel-style, but he was also the artist that created the classic look of the supernatural superhero Ghost Rider. After establishing himself as a popular Marvel artist, Ploog also contributed his artwork and designs to a number of classic films of the 1980’s such as Ghost Busters, The Thing, and Little Shop of Horrors. His work, both on the comic page and in film production, has inspired a generation of artists and creators world-wide. Due to these accomplishments and an increased interest in his earlier work in a variety of collections from Marvel, Mike Ploog is our selection for Honorary Achievement in Horror Comics. While many of our young readers may not recognize his name (he passed in 1992), he is one of the fore-fathers of modern horror comics. 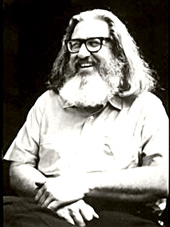 As a co-editor of EC Comics, he led the company in a more horror-centric direction in 1950 with “Tales From The Crypt”, “The Vault of Horror” and “The Haunt of Fear.” Due to the popularity of these titles, additional cutting-edge books were included in the EC Comics line up. Later, the company even started adapting stories from authors such as Ray Bradbury, Edgar Allen Poe, and H.P. Lovecraft, a trend we still see today. A fighter in life, Gaines faced the Senate Subcommittee on Juvenile Delinquency in 1954 by defending what may be considered appropriate for a horror comic. Although most of us now can appreciate his rebellious nature, the 1950’s were a more conservative time and this notoriety effectively put EC Comics out of business. Sixty years later, we can appreciate his stance and fighting spirit and likely have better and more interesting comics to show for it. In memory of this great horror legend, Horror News Network would like to posthumously honor comic legend William Gaines for his outstanding contributions to horror comics with a 2014 Horror Comic Achievement Award. Horror News Network would like to honor comic artist Richard Corben for his outstanding contributions to horror comics with the 2013 Horror Comic Achievement Award. Richard Corben has been admired for his stylish yet monstrous art since working on Creepy and Eerie for Warren Publishing. While he has worked as a writer, publisher, and colorist, he is perhaps best known for his striking black-and-white illustrations. Much of his decades-long career has been drawing incredibly distinctive horror pieces. This work is so distinctive that it is often the style that is associated with horror comics. 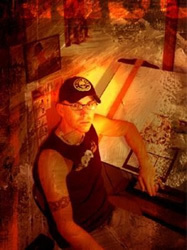 Although he has been illustrating for so many years and with many of the major publishers, such as DC, Marvel, and Heavy Metal, most of the Horror News Network readers will be more familiar with his current work with Dark Horse. A regular contributor to the modern Creepy and Dark Horse Presents, he has also recently both adapted and illustrated works by Edgar Allen Poe. Corben continues to be a leader and visionary for horror comics and his elegant depictions of horrific monsters continue to intrigue and terrify us. Congratulations, Richard Corben! Your work has both defined and recreated horror comics in awe-inspiring ways! This year, we lost a great artist and long-time friend of the site, Josh Medors. 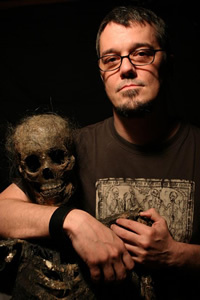 Josh was a rising talent in the horror comics community and received major initial recognition for several projects with 2010 Honoree Steve Niles, including “Fused: Think Like a Machine”, “30 Days of Night Annual”, “Dial M For Monster”, “Horrorcide”, and “In The Blood”. Josh is perhaps best known for his work on “Frank Frazetta’s Swamp Demon” and the fan-favorite, creator-owned series “Willow Creek”. It was while working on both of these titles that Josh was diagnosed with cancer. The discovery of a tumor growing in Josh’s spinal cord slowed his pace but did not stop him from continuing his art. Both Josh’s work and his strength in the face of such adversity has and will continue to inspire all of us in the horror comic community and beyond. In memory of this great horror artist who was taken from us too soon, Horror News Network would like to posthumously honor comic creator and artist Josh Medors for his outstanding contributions to horror comics with a 2012 Horror Comic Achievement Award. You will be greatly missed, Josh. Horror News Network would like to honor comic creator, writer, and artist Mike Mignola for his outstanding contributions to horror comics with a 2012 Horror Comic Achievement Award. Mignola’s rise to horror comic super-stardom can be primarily traced back to 1993 when he created “Hellboy”, a half-demon detective that may be the most well-known and popular character in horror comics. While the first story line (“Seed of Destruction”, 1994) was co-written with John Byrne, Mike has continued writing the series himself. Currently, there are over a dozen “Hellboy” graphic novel collections, several popular spin-off titles (“BPRD”, “Lobster Johnson”, “Abe Sapien”, and “Witchfinder”), three anthologies of prose stories, several novels, two animated films, and two live-action films staring Ron Perlman. “Hellboy” has earned numerous comic industry awards and Mignola tied for Writer of the Year right here in the 2011 Horror Comic Awards for his work on that title. 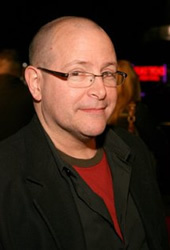 Mignola has also collaborated with Christopher Golden to produce another hit franchise character with “Baltimore”. Mignola is not just an award-winning writer, he’s also an outstanding and accomplished artist. The use of heavy blacks and chunky, geometric shapes has others attempting to replicate the style that has become so well associated with Mignola’s work. Mike’s artistic style is in fact so defined and easily identifiable that it has spawned the term “Mignola-esque”. Congratulations, Mike Mignola. Your popular characters and inimitable style has made you a super-star in the horror comic community! 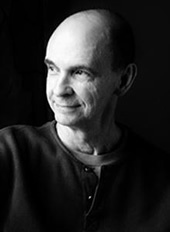 We would like to honor comic creator and artist Bernie Wrightson for his outstanding contributions to horror comics with a 2011 Horror Comic Achievement Award. Wrightson has been creating comics for fans of the gruesome for over 40 years and has worked on many of the best-known titles in horror comics including “Creepy”, “Eerie”, and “House of Mystery”. 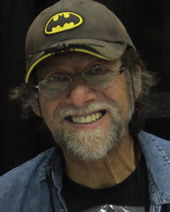 In his long career, he has brought us some truly memorable works, including the co-creation of “Swamp Thing” in 1971with writer Len Wein, and he is probably best known for his pencil and ink drawings of Mary Shelley’s “Frankenstein” that was published in 1983. Wrightson continues to provide scares for the loyal horror comic readers and is once again preparing for a project with a frequent collaborator, Steve Niles. 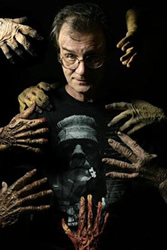 Having worked together on “Dead, She Said” and “City of Others”, the duo’s forthcoming project will take Wrightson back to the dramatic and nightmarish classic horror that he is most famous for with “Frankenstein Alive, Alive!”. Wrightson’s body of work is extensive and impressive, and his unique style continues to drive the horror comic industry to this day. Congratulations, Bernie Wrightson. You are a legend among your peers and the nightmares you have given us continue to keep us awake at night! On June 23, 2011, the comics community lost a great talent and leader, Gene Colan. 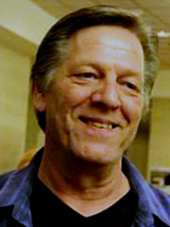 Colan is best known to fans of horror for his work on “The Tomb of Dracula”, “Blade”‘ and “Night Force”. Colan, who began his career in comics in the 1940’s, penciled the entire 70-issue run of “The Tomb of Dracula” from 1972 to 1979 with writer Marv Wolfman. “The Tomb of Dracula” featured a group of vampire hunters fighting Dracula himself as well as other pesky, supernatural menaces and it was in this series in 1973 that the character “Blade” first appeared. In the mid-1980’s, Colan collaborated again with writer Marv Wolfman on the 14-issue run of “Night Force”, the story of a team brought together by the mysterious Baron Winters to fight supernatural threats. Colan continued to be heavily involved in comics throughout his life and even took on vampires one more time in “Buffy the Vampire Slayer: Tales of the Slayers” in 2002. In memory of this forefather of horror, we would like to posthumously honor comic creator and artist Gene Colan for his outstanding contributions to horror comics with a 2011 Horror Comic Achievement Award. 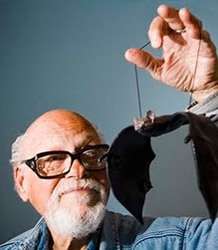 His work has and will continue to inspire generations of fans and creators of horror and comics. For his outstanding contributions to horror comics, we would like to honor legendary horror comic creator and writer Steve Niles with the first ever Horror Comic Achievement Award. A long time fan of horror himself, Niles has been frightening the masses for almost 20 years with such titles as “30 Days of Night”, “Criminal Macabre”, and “The Ghoul” just to name a few. In fact, it is likely harder for horror fans to say they have not read anything from the prolific Niles than to list off several books in their long boxes with his name on the cover. With cross-overs, anthologies, adaptations, a strong body of original works, and even horror superheroes, Niles has shown that he is adept at trying new things and giving the fans exactly what they want: originality, quality, and characters that are both frightening and clever. Congratulations, Steve Niles. You have scared us, and we have loved it!